"New Lower Gates, Stockton Shops"
Black and white photograph showing new lock gates being installed in the canal at Stockton shops. 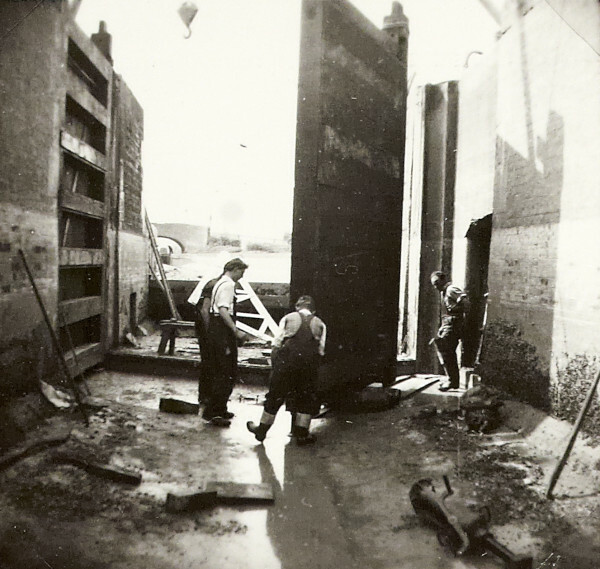 Taken from inside the dry lock, there are 3 men surrounding a free standing gate, and there is another gate that has already been put into position. The canal and a bridge are visible in the distance. This photograph is on page 62 of the C N Hadlow photograph album.